Canine Tutors provides San Jose dog training that guarantees results even around the most distracting environments all the while keeping your dogs happy tail-wagging attitude. You can choose from private one on one sessions or train in a group setting going at your dogs pace. Canine Tutors incorporates cutting edge training technologies that will allow you to train your dog even from great distances and cut out the confusion for your dog. Canine Tutors dog training is the only dog training school on the central coast that incorporates today’s ever evolving electronic technologies into it’s training curriculum. From electronic ball poppers to push button treat dispensers we look for change that will bring you closer to your dog. 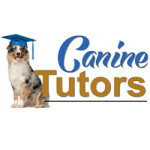 Canine Tutors has been successfully training dogs to be reliable in obedience both on and off leash since 2007. It has been my Goal from the beginning to create a program where the novice dog handler can get advanced results with just 15 minutes of training daily, while maintaining the dog’s happy attitude. We guarantee our work and can train any dog. My name is Ashley Starling and for as long as I can remember I have been fascinated by dogs and their relationship to humans. I am a professional dog trainer as well as a student. I am an athlete, artist and a seeker of true dog knowledge. My goal is to keep gaining expertise and bring it to you so you can create more happy in your life through your best furry friend. My goal is to spread peace through dog training.